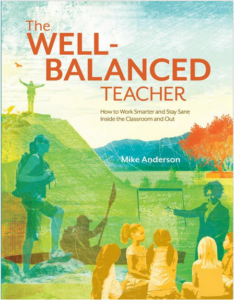 The Well-Balanced Teacher: How to Work Smarter and Stay Sane Inside the Classroom and Out (ASCD, 2010) is a book for teachers about how to stay healthy and balanced so we can maintain the passion and energy needed to meet the needs of our students. It may not be easy, but it is possible. Our students deserve teachers who are healthy and balanced. This book explores important categories of health and balance that teachers need to consider: basic needs, belonging, significance, competence, and fun. In each category, a case is built for why it is important, and many concrete and practical strategies are suggested. Written with busy, overwhelmed teachers in mind, this book is a quick and fun read. To explore professional development offerings about this book, check out the Positive Adult Communities professional development section. The Well-Balanced Teacher Facebook page is devoted to supporting educators. 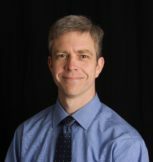 My Well-Balanced Teacher Pinterest board offers a wide-variety of videos, articles, and other resources. Is your staff or book group reading The Well-Balanced Teacher together? Check out the free study guide I created by to help guide your study! Check out the book reviews (below) to see what others are saying about this topic!